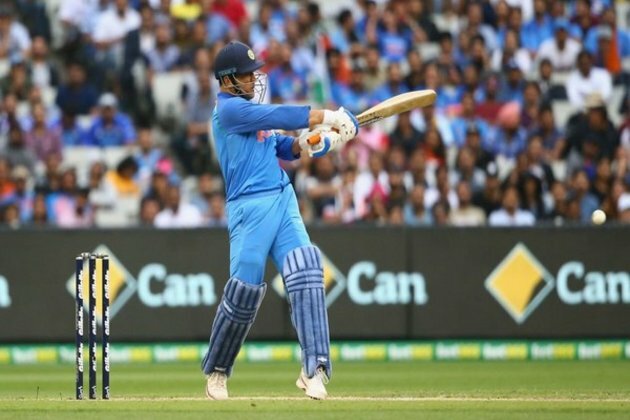 Melbourne [Australia], Jan 18 (ANI): Yuzvendra Chahal's deadly spin bowling and MS Dhoni's dazzling batting on Friday ensured a convincing seven-wicket victory over Australia in the third and final ODI at the Melbourne Cricket Ground, winning the series for the first time on Australian soil by 2-1. India, which was set the target of 231 by Australia, made 234 for the loss of three wickets, with four balls remaining. Dhoni scored an unbeaten 87 off 114 balls and was supported by Kedar Jadhav, who made 61 off 57 balls and remained not out. With this win, India registered their maiden historic Test and ODI victory. Opting to bowl first in the rain-hit final ODI, India did not give Australian batsmen a chance to settle in and wrapped up the first innings within 49 overs. Chahal claimed six wickets, his second five-wicket haul in the format, as India bundled out the hosts Australia for 230 runs within 49 overs. Mohammed Shami and Bhuvneshwar Kumar chipped in with two wickets each. For Australia, Peter Handscomb was the top scorer with 58 runs off 63 balls. India got off to a slow start in the 231-run chase. Openers Rohit Sharma and Shikhar Dhawan spent more time to adjust to the Australian pacers and in the process Sharma (9) gifted his wicket to Peter Siddle. Skipper Virat Kohli along with Dhawan (23) ticked the scoreboard before Marcus Stoinis dismissed the left-handed batsman. Kohli and Dhoni reconstructed the Indian fort as the duo stitched a 54-run partnership before the skipper (46) edged the ball to wicketkeeper Alex Carey. The three-match series was tied at 1-1 after the hosts won the first ODI in Sydney by 34 runs and the visitors won the second in Adelaide by six wickets.